Devastated by his 6-year-old son’s murder, John Walsh could not even work for his living which led his house to foreclosure. The horrible grief that he shared with his wife led them a path close to divorce but both of them fought and united their family after a lot of struggle. John Walsh is an American producer, television personality, criminal investigator, and human rights advocate. He is the presenter and creator of the 1988 television series “America’s Most Wanted” which ran for 25 years and the FBI credits the show for leading to capture the fugitives. Previously, he had a job in Paradise Island Hotel And Casino in Hollywood, Florida, which involved in building high-end luxury hotels. But the horrible devastation of his son left him in deep trauma and he left his work and immersed himself in his anti-crime activities around the U.S. He helped many abduction cases and children to get back home, co-founding the "National Centre For Missing And Exploited Children" with his wife, and acts as a Board of Directors now. 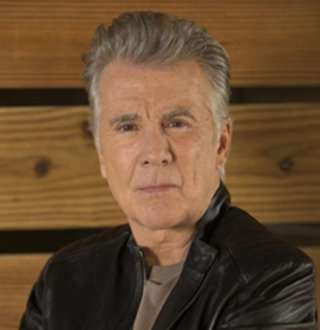 John Walsh was born as John Edward Walsh Jr. on December 26, 1945, in Auburn, New York. He is of the Irish-American heritage and attended The State University of New York at Buffalo. He was married to Reve Walsh in 1971 and both of them settled in Florida after their marriage. They have four children together named Adam Walsh(died at the age of 6), Meghan Walsh(age 37), Callahan Walsh(age 32), and Hayden Walsh(age 25). He is also a grandfather to Eva, the daughter of Meghan Walsh, who is a singer and fashion designer residing in Vero Beach. At the age of 74, his sons Callahan and Hayden accompany Walsh in filming his TV shows. John became famous after the kidnapping and murder of his son in 1981, which was the subject of the 1983 movie “Adam”. And he was offered many shows to host related to crime investigation and advocacy. He has also penned his emotions and outrage of his son's loss in his books Tears of Rage, No Mercy, Public Enemies. His strong personality and standard height of 5’8” makes him a perfect television host and he is the spokesperson for the digital multicast “Justice network” and hosted the show “The Hunt with John Walsh” on CBS network, which debuted in 2014. His estimated salary as a TV host is 55,908 dollars per year but his production and direction works owe him a net worth of 20 million dollars. July 27, 1981, was the black day when 6-year-old Adam Walsh, the then only son of John and Reve Walsh was abducted from the Sears department store at the Hollywood Mall, while he was in the toy department at a model video game console and his mother was searching for a lamp. When Reve returned, Adam was missing and sixteen days later, his severed head was found across a canal. This griefful incident struck John and his wife, who struggled really hard to overcome the hardest phase of their life. 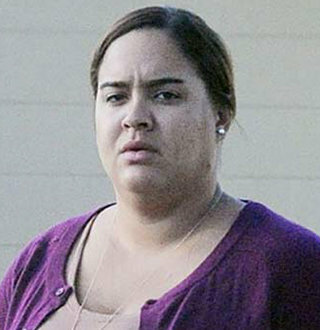 They even filed a divorce case in 2002, as only grief and horrible sadness were left in between them. But, they later reconciled dismissing the court proceedings and united their family. John credits his wife as an incredible person and strong woman who managed the grief of her son and became the strength of her husband. They share a great family bonded with love and affection, always remembering their murdered son.